Edge of the Woods B & B, guest suite contact, info, reservations. 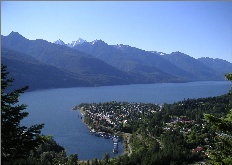 Kaslo BC. Please don't hesitate to contact us if you need more information or would like to make a reservation.